Here is another Poundland bargain, Jess - Tiger Lily. 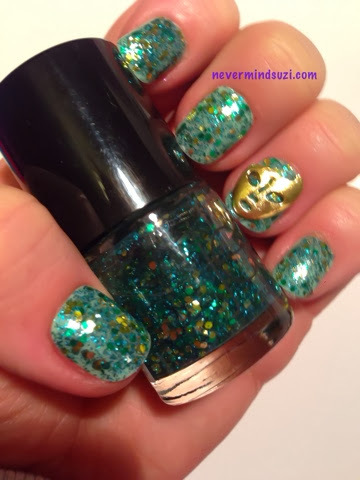 This is a clear base with gold, peridot and green glitters. I'm wearing 2 coats over mint Allure press-ons. 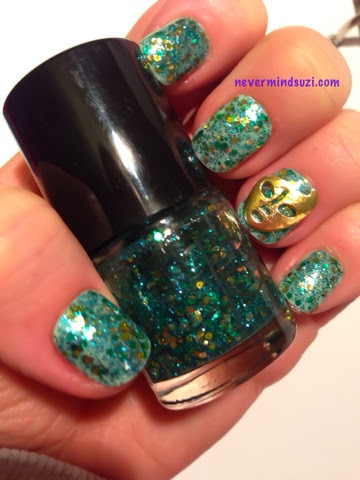 This is such a pretty glitter, it really makes me think of spring time. 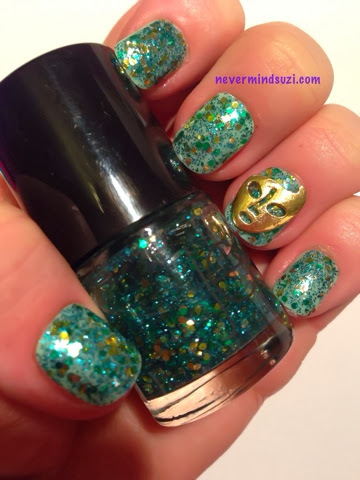 I added a gold masquerade mask to pick out the golds in the glitter. 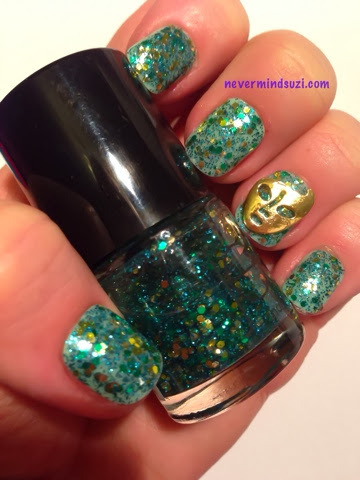 Lovely glitter but I especially love that masquerade mask nail decal, so unique!! That is definitely on the 'need to try' list, it's really pretty and my sort of colours. Fab post!